Pursuant to a recent Gartner study on cloud services projected for 2012-2016, cloud infrastructure as a service (IaaS) spending will likely surpass $72 billion, with a compound annual growth rate (CAGR) of 42 percent. 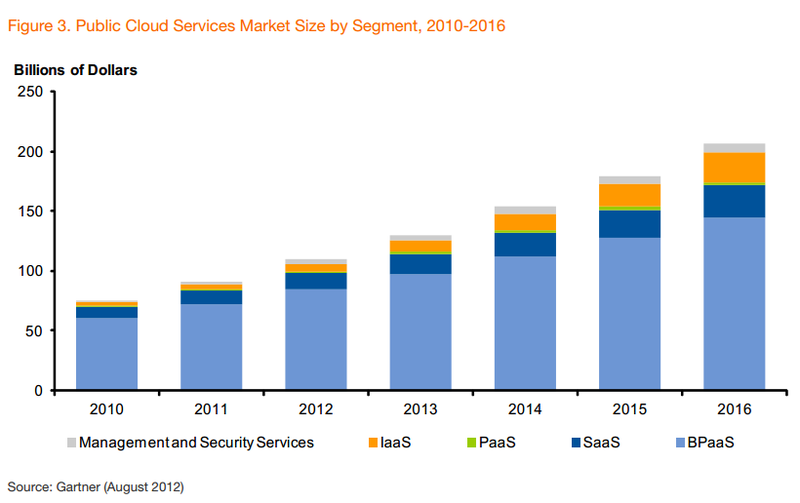 Gartner predicts the IaaS market to grow from less than one-third of the SaaS market in 2011 to almost equal the size by 2016. “Of all the cloud technological aspects, infrastructure as a service (Cloud Computing IaaS) and software as a service (SaaS) are the most mature and established from a competitive landscape perspective, ” said Fabrizio Biscotti, research director at Gartner. Cloud computing IaaS (infrastructure as a service) providers offer virtual servers and support services, including networks, firewalls, Internet connections, electrical/facility and other infrastructure needs. Additional managed services include IT and data disaster recovery, offsite backup, and more managed by certified professionals. Cloud SaaS is a term for any application available via the Internet and hosted on a remote server. SaaS requires vendors to manage the application code and database, while the infrastructure is typically outsourced and managed by a data center operator/hosting provider (cloud IaaS provider). Gartner’s cloud services provider landscape includes a basic economic theory predicting that the strong demand from customers met by numerous cloud service offerings will create a growth market that not only increases the adoption of cloud services, but also effectively lowers prices for consumers; further fueling demand. Other cloud computing IaaS benefits include eliminating capital expenses associated with building server infrastructure, quicker project deployment, increased scalability, resiliency and redundancy, and more. 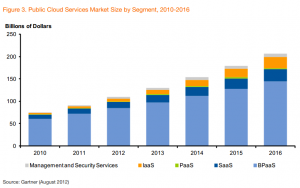 With the growth of the IaaS market comes the increase of cloud providers.